The claw is an enigma. Many animals have claws as natural weapons, yet it is something humanity lacks. Perhaps this is why humans seek to wield them. 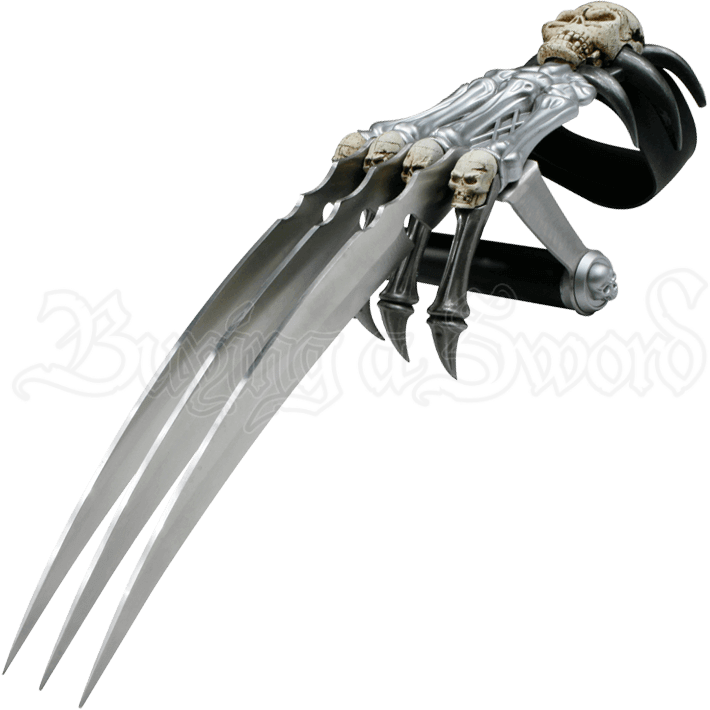 The Skeletal Hand Claw is a combination of humanity and the weapon it lacks. 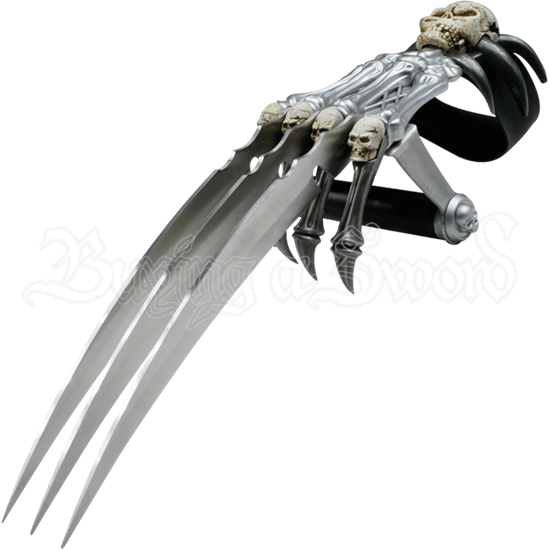 This wicked item consists of a metal skeletal hand, set with resin skulls on the knuckles with a trio of wickedly long claws between the knuckles. Each of the blades is subtly curved forward with a single edge on the inside of the curve. The skeletal fingers extend out under the claws, bent slightly, to form a sort of claw on its own, as they end in unsharpened points. A rubber handle provides grip and, more importantly, leverage for striking, while an arm strap keeps the claw level and secure. Resting atop the mount for the arm strap is another skull, wickedly grinning with a large chip taken from the forehead. Humanitys greatest weapon has always been ingenuity, and now, human ingenuity have given us the Skeletal Hand Claw, an unnatural weapon we have always lacked.